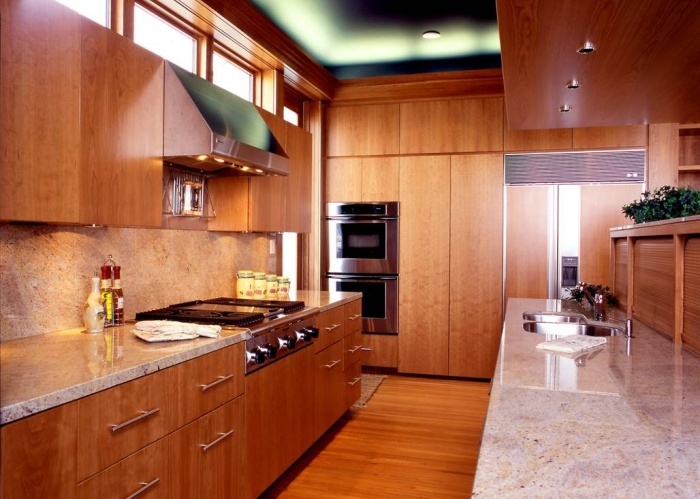 Home Posts tagged "modern contemporary kitchen"
Contemporary style kitchen features natural cherry veneer door style. Note the extensive use of lighting to make this kitchen a delight to work in. Modern contemporary – clean lines – simple edges – plain hardware – they all contribute to the desired look in this modern contemporary kitchen!